Within the last ten years she has been working as a Clinical Psychologist and Psychotherapist in London both in the private and in the public sectors (North East London Foundation Trust, West London Foundation Trust, East London Foundation Trust, Springfield University Hospital). She had undertaken her training in Clinical Psychology at the University of Bologna and clinical placement at the Department of Mental Health – Az. Ca’Granda Niguarda, Niguarda Hospital – Milano. After the State examination for Chartered Psychologists, she had carried out her postgraduate specialisation in Psychotherapy. She had trained in Brief Strategic Therapy at the School of post-graduate specialisation in Brief Strategic Therapy -Centro di Terapia Strategica (CTS) of Arezzo, founded by Paul Watzlawick and Giorgio Nardone. 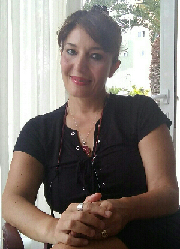 Dr. Graziella Ferigo had been working with other professionals to support clinical research conducted by the Centre of Strategic Therapy of Arezzo and carried out the role of representative – responsible of the Master in Brief Strategic Psychotherapy of Milan organised by the Centre of Brief Strategic Therapy from 2003 until 2005. Within her clinical experience she has developed a specific attention to the woman condition and its psychological implications. Dr. Graziella Ferigo is a Chartered Clinical Psychologist accredited with the Health and Care Professions Council (HCPC) and with the British Psychological Society (BPS). She is also registered with the British Association for Counselling and Psychotherapy (BACP).